The Gandhi Memorial Center houses headquarters for the Foundation, a library and special meeting rooms for lectures and films depicting the life and activities of Mahatma Gandhi and the cultural heritage that nourished him. 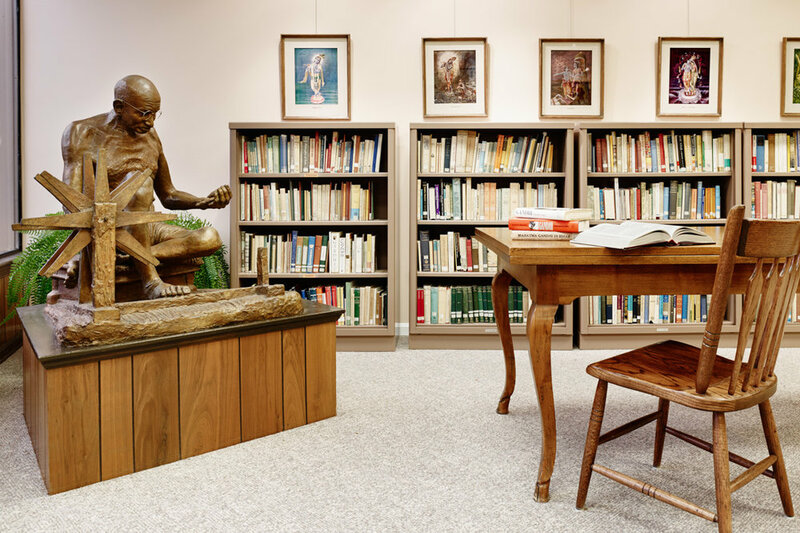 Dedicated to the life and teachings of Mahatma Gandhi, the Gandhi Memorial Center offers a broad representation of authors from many cultures and times, as well as displays, recordings, exhibits and demonstrations of cultural and educational value. For the expansion of its ideals and activities the Foundation will gratefully receive donations and contributions of books, publications and memorabilia pertaining to Mahatma Gandhi and his associates.